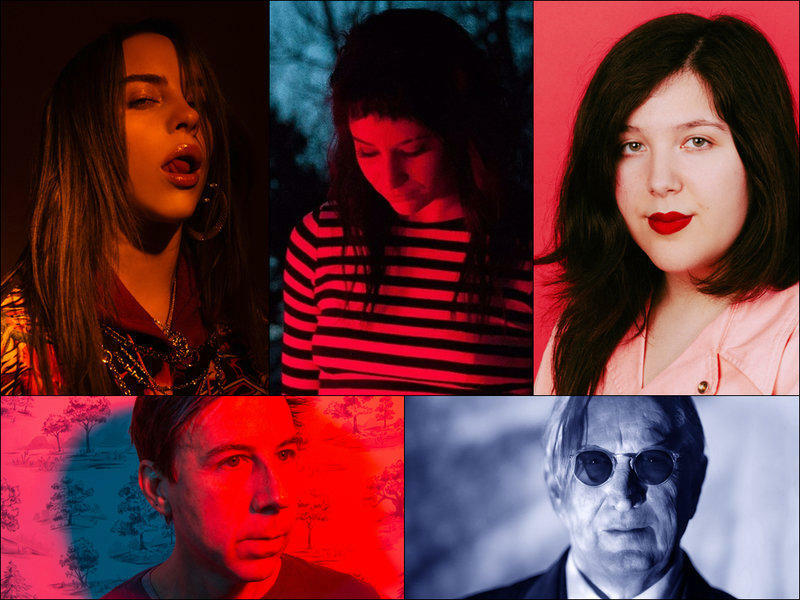 Clockwise from upper left: Billie Eilish, Many Rooms, Lucy Dacus, T Bone Burnett, John Vanderslice. On this week's show, artists battle their inner demons – the kind that come out a night when you're alone in bed, trying to find sleep – they speak truth to power, celebrate love, dig into complicated characters with troubled pasts and much more. Hear All Songs Considered Saturday evenings at 6:00 pm on KRCB-FM Radio 91 / streaming @ norcalpublicmedia.org / Comcast channel 961 throughout the Bay Area / Download the FREE KRCB App @ iTunes & Google Play!